Up until I was about 26 years old, I had never tried a concealer or a foundation. I didn’t need them. But one day (for real, this just happened one day), I looked in the mirror before heading out with friends and I saw major dark circles under my eyes. That was the beginning of a scary new time for me. I started experimenting with ways to cover the circles. I remember discovering YSL Touche Éclat Radiant Touch, the clicky pen with a brush end. I believe there were only a few shades back then, but I found one for me that I used for years. These days there are countless products like the Touche Éclat pen, but I always think of YSL as the master. 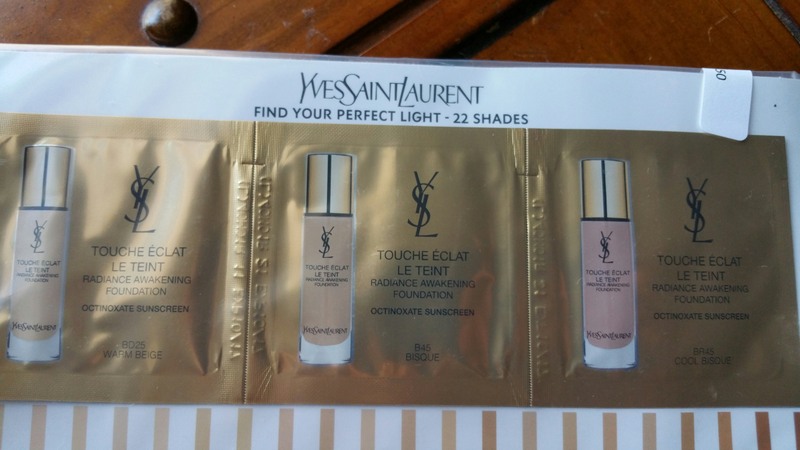 With this in mind, when I received sample packets of YSL Touche Éclat Le Teint Radiance Awakening Foundation, I looked forward to giving it a try. I admit, I don’t use liquid foundation, so when I opened up the first packet of YSL I was kind of grossed out by the drippy consistency. How do people use this stuff without making a huge mess? 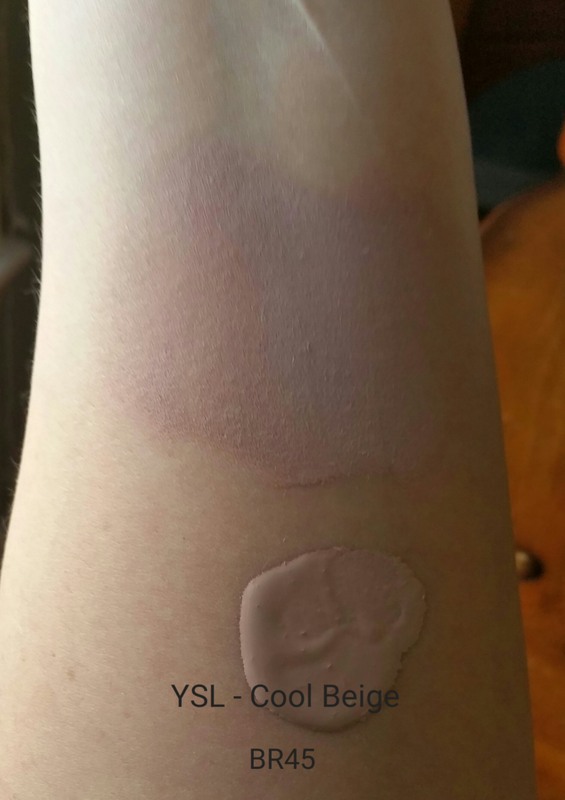 I managed to squirt round blobs on my arm and then spread out the foundation. I really didn’t enjoy the feeling of this foundation on my finger tip as I spread. I think it’s because I like facial products with the texture of a gel (my favorites are Cotz and Per-fekt) and with a lot of slip, from silicones. Instead this YSL foundation was the kind that sunk into my skin instead of riding on top of it. It did seem to cover up my natural skin quite well, so I would say it does its job on that count. 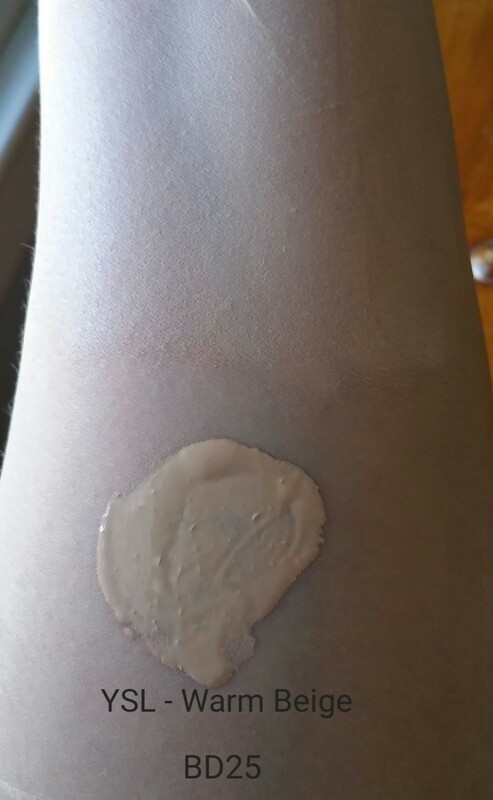 I was really surprised that Cool Beige looked so wrong on my skin. I think of myself as needing cool tones. However this Cool Beige was so very pink. I can’t say I would ever use Touche Éclat Le Teint Radiance Awakening Foundation, but I don’t think that’s YSL’s fault. 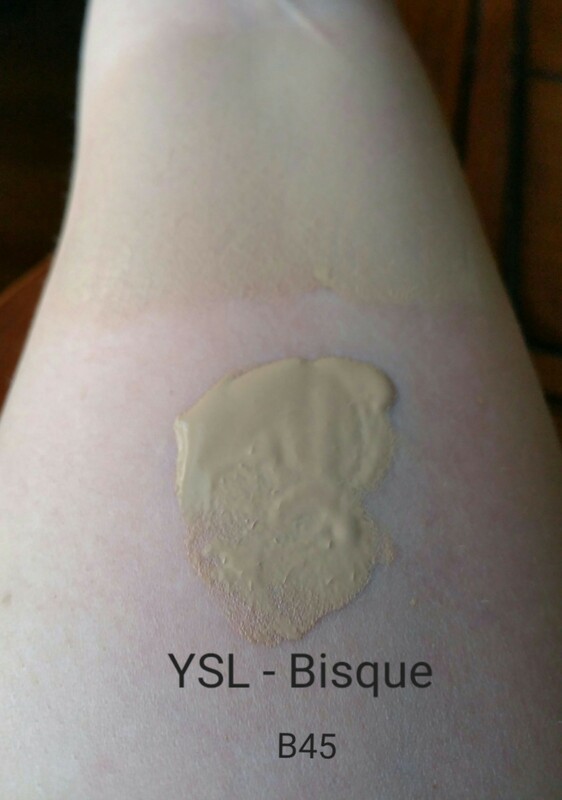 I typically love YSL so I think it’s just the entire category of liquid foundations that turns me off! What about you? What do you use on your face?